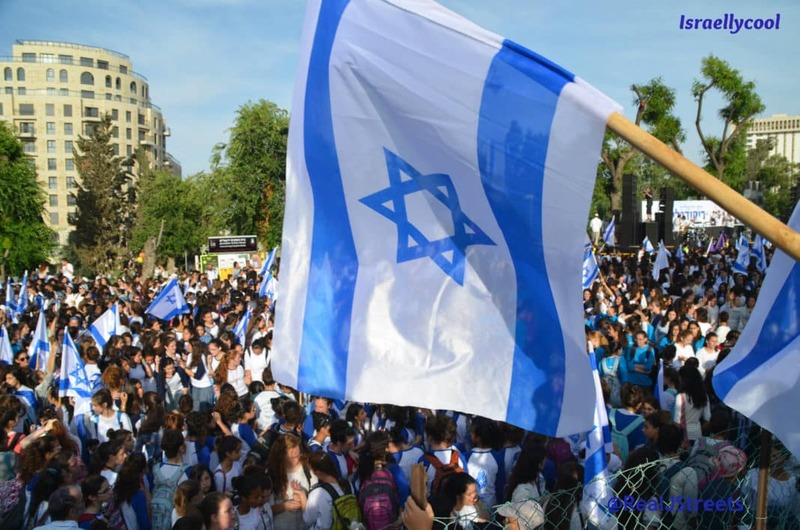 The human rights façade of the BDS movement wears increasingly thin. 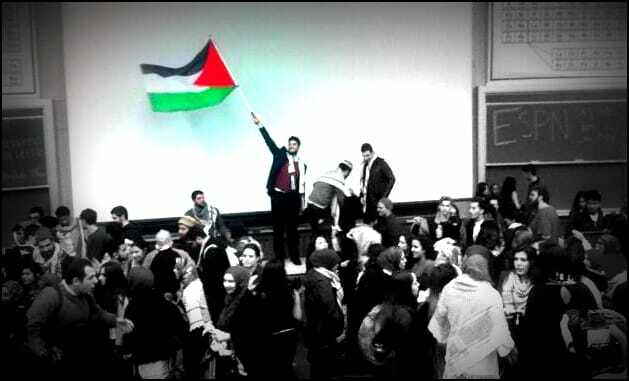 Case in point the antics of the Israel-haters at UC Davis this past week. The anti-Israel boycott resolution passed the student senate, 8-2-2. 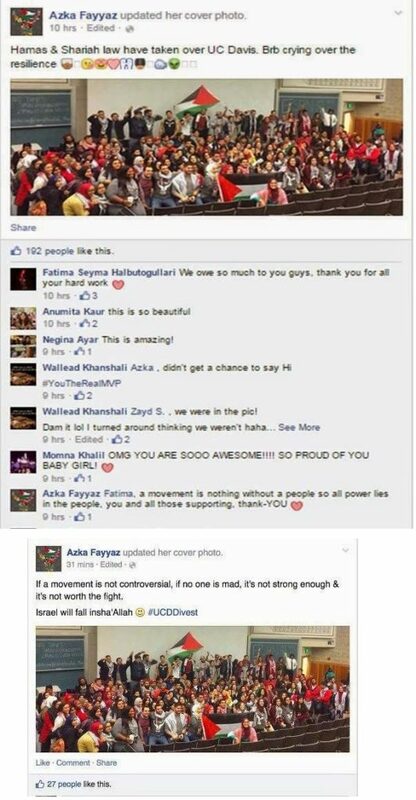 Reveling in their “victory” against the Jewish state, UC Davis student Senate member Azka Fayyaz, proclaimed on Facebook “Hamas & Sharia law have taken over UC Davis- Israel will fall Insha-Allah”. After helping pass an anti-Israel resolution. pro BDS Student senator Azka Fayyaz proclaimed that “Hamas & Sharia law have taken over UC Davis” and “Israel will fall”. The following day, the exterior walls of Alpha Epsilon Pi, the Jewish fraternity at UC Davis, was covered in Swastikas. Swastikas found on walls of Jewish fraternity at UC Davis the day after a BDS resolution passed in the student senate.